You can find many ways to prevent asthma and help control its symptoms. 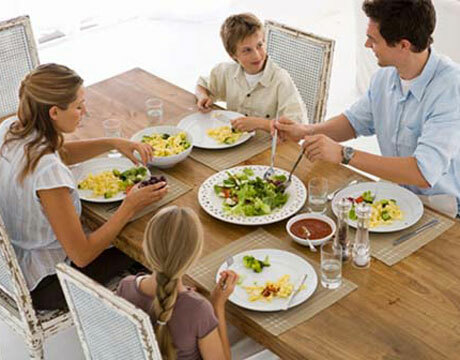 A good diet plays an important role in your overall asthma treatment plan. The right diet and nutrition helps reduce the inflammation and clogging of air passages to help prevent and control asthma symptoms. Start fighting asthma and improve your lung function by making a few adjustments to your diet. 1. Include fruits and vegetables. Fruits rich in antioxidants such as blueberries and raspberries can help lessen asthma symptoms. They also help prevent other health problems and chronic problems. Vegetables rich in beta-carotene and vitamin E help neutralize harmful free radicals in the body to help the circulatory system and reduce inflammation. 2. Avoid processed foods. High in saturated and trans fats, they increase mucus production and worsen asthma symptoms. Avoid eating fast food and commercially made baked goods, or at least minimize your consumption of them. Most processed foods contain sulfites to keep them fresh, which can trigger asthma symptoms. Replace them with raw fruits, vegetables and whole grains as snacks. 3. Add more garlic and onion to your diet. These contain natural and safe anti-inflammatory agents that can help ease the effects of asthma and other respiratory problems. 4. Magnesium levels link to asthma. Other nervous motions have connections with a magnesium deficiency. Ensure you include foods that contain magnesium in your diet. Foods such as beans, nuts, cereals and other green vegetables make good sources of magnesium. 5. Include foods rich in Omega-3s in your diet. You can find them in oily or fatty fish such as salmon, mackerel, tuna and sardines. Omega-3 helps reduce inflammation in the body and lowers your risk of heart disease. If you don’t care for fish, consider taking an Omega-3 supplement. 6. Keep your body hydrated. Drinking plenty of water everyday helps break up mucus and prevents your airways from drying out. It also helps with the production of histamine, which increases the body’s defense mechanism. 7. Eat fewer animal products, such as beef, pork, meat or none at all. Reduce your dairy intake. These may contain Omega-6 fats and trans fats that may worsen asthma. Avoid fried foods as well. 8. Avoid foods that encourage the production of mucus. When mucus clogs up internal systems, asthma symptoms get worse. Food items such as flour and dairy products cause mucus. They also have high levels of fat and cholesterol, so you should avoid them to control asthma symptoms. 9. Monitor your calorie intake. Even as you work to prevent asthma, you may experience extra weight gain. Try eating in smaller portions. Make sure you balance your food intake with exercise. Carrying extra weight can worsen asthma.